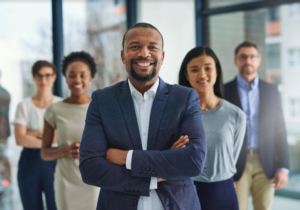 Leadership is the cornerstone for strong management within an organization, serving to maximize efficiency and effectiveness, and to achieve organizational results. Every company needs strong leadership but, as Forbes points out, “You don’t train leaders, you develop them—a subtle yet important distinction lost on many.” Forbes goes on to point out that traditional leadership training is the primary reason that leadership development fails. Why Does Leadership Development Succeed Where Leadership Training Frequently Fails? Not everyone is meant to be a leader, but a natural and well-developed leader can inspire great employees. When a manager, supervisor or human resource director spots a potential leader—whether from their resume or their proven track record within the organization—it is important to begin nurturing those inherent skills that already garner respect from management and colleagues alike. Training for leadership fails because it is too specific and rigid for a natural leader. Doing more to hone in on someone’s natural abilities to lead will effectively steer their leadership abilities in the right direction for the organization. Leadership development gives companies the opportunity to coach and mentor strong potential leaders, giving their natural talents a chance to blossom, according to their own strengths. While these future leaders will certainly learn all of the company’s best practices and rules of management, their training will play more to their ability to influence and inspire those around them. What Are the Key Characteristics of Employers and Managers Bound for Leadership? As more baby boomers are approaching their retirement, you probably need to start focusing on leadership development among your up-and-coming staff members. Honesty. Honesty is such an important characteristic at any level, but even more so in a leadership role. Someone with a proven code of ethics and a strong moral center is more likely to perform their duties to their utmost for the sake of it being their responsibility and simply the right thing to do. Motivational. Staff members who can inspire colleagues to participate in the voluntary recycling program or play on the weekend softball team are just the type of person you need to consider for leadership development. These employees have the power to influence and motivate with ease and without resentment, which is crucial for today’s leaders. Committed. Future leaders must care about your business and be willing to work hard to communicate your message, lead the teams under their supervision and search for out-of-the-box solutions to ensure your organization’s success. Understanding your team members’ potential for leadership and leadership potential can vastly improve your business. It is often of identifying the right future leaders and cultivating their talents. Contact me today to learn more about how you can pick out tomorrow’s leaders to help nurture your organization’s continuing success.